After a decade of water quality monitoring, the North Coast Blue Water Task Force (BWTF) in Oregon has developed into a powerful citizen science program that effectively works with community members, local schools, state programs and county institutions to solve problems and protect clean water. The North Coast BWTF began sampling in 2008 to provide the community with water quality information along the North Coast of Oregon. The program, supported by the Surfrider Portland Chapter, is run by passionate volunteers who work closely with high school students to meet community concerns and needs. 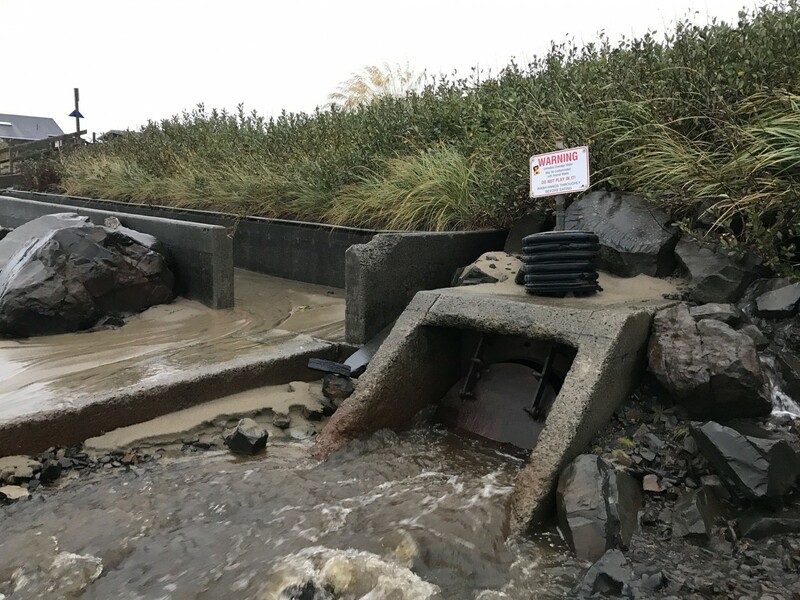 Both the State’s Beach Monitoring Program and Surfrider’s BWTF data have identified one of the North Coast’s sampling sites, Ecola Court at Cannon Beach, as one of the most polluted stormwater outfalls on Oregon beaches. Bacteria levels exceed the health advisory limits 50% of the time this site is tested. The public health risk is high too as Ecola Court is the primary beach access to Cannon Beach for locals and tourists alike, and children like to splash and play in the shallow stream of stormwater that discharges onto the beach. On a busy day in the summer, the health of tens of thousands of beachgoers could be at risk from the polluted water flowing from this stormwater outfall pipe. Fortunately, after a decade of testing and advocacy, the North Coast BWTF and local leaders of the Ecola Watershed Council, scored a victory for clean water and successfully convinced the city of Cannon Beach to perform a full analysis of its sewer and stormwater infrastructure to identify potential sources of pollution. Having worked with the cities of Newport and Coos Bay on similar sewer and stormwater infrastructure testing, Surfrider advocated for a similar process to find the culprit of high bacteria in Cannon Beach. Utilizing smoke and dye testing techniques, the city of Cannon Beach uncovered several infrastructure failures, such as sewer misconnections, broken sewer lines and pump stations failures that were contributing to the pollution on the beach. More importantly, the city council has since voted to approve funding for a major capital improvement project to start fixing the problems identified in the city's sewer and stormwater systems. It was a long road, but thanks to the perseverance of Surfrider’s North Coast BWTF volunteers and their local partners, Cannon Beach is well on its way to becoming a clean, healthy beach! Beyond the success they’ve achieved in addressing the pollution problems at Cannon Beach, the North Coast BWTF program continues to evolve to meet community needs and concerns. 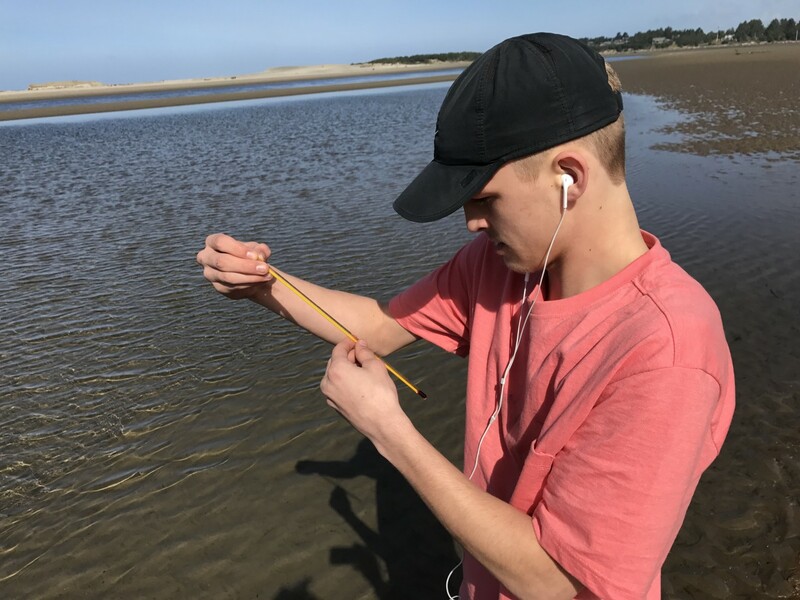 Last year, the water testing lab was relocated from the State Park at Nehalem Bay to Seaside High School. The improved facilities not only provide a better learning atmosphere, but the space also helps to increase the students’ engagement in the water quality monitoring program. Students are now able to collect samples from three additional coastal rivers; the Necanicum, Neacoxie and Neawana. 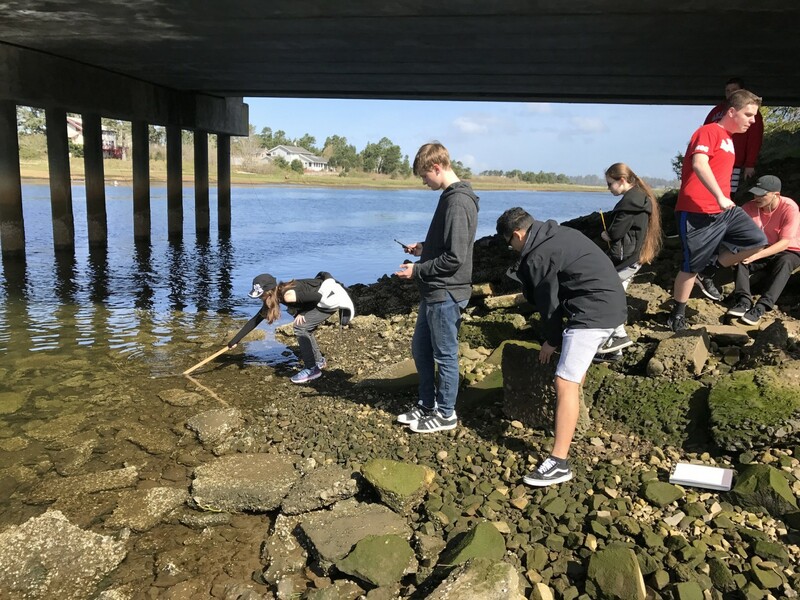 Since the lab was moved to the high school, approximately 95 students and 12 local citizen volunteers have been trained to collect and process water quality samples. View a map of all of the North Coast BWTF sampling sites and their results on the BWTF website. One of the most incredible benefits for the North Coast BWTF volunteers working alongside Seaside High School students is the ability to take a number of lifelong residents of Seaside to the beach for their first time, building a strong connection between the students and their local beaches and the ocean. As Surfrider’s roots within the community deepen, the North Coast BWTF looks forward to continuing to work collaboratively to protect clean water and to inspire the next generation of coastal stewards.